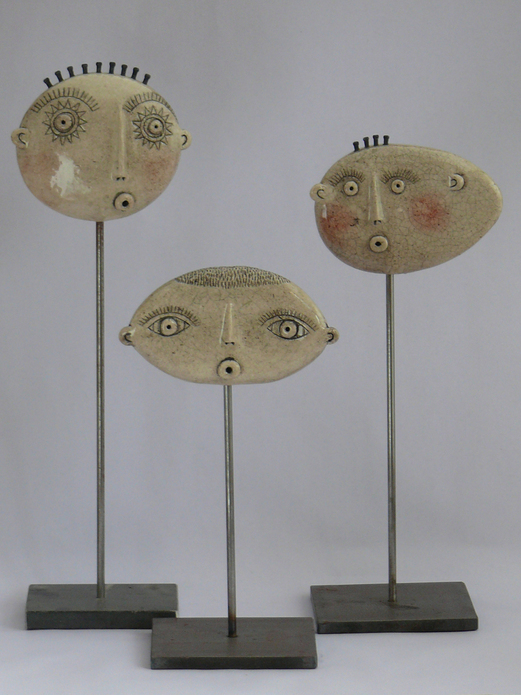 My work consists of hand built decorative ceramics based loosely around the human head, figure and animal forms. Each piece has a unique character. Many of my designs come in a variety of sizes, from handheld to very large.